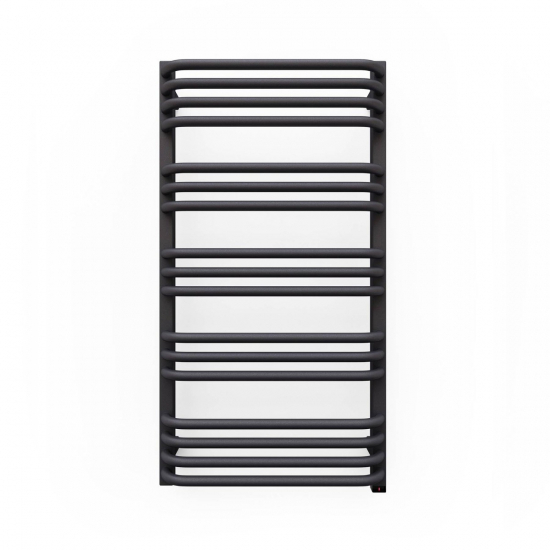 The 400w Terma Alex ONE designer electric towel rail provides independent heating and towel drying for small bathrooms, en-suites, and kitchens - adding a stylish accent wherever it's placed. Featuring a simple, push-button interface, the Alex is quick and easy to use - without the need for additional controllers. Download or view the Alex 500 x 760mm assembly instructions & technical drawing here. Terma Alex Designer Electric Towel Rails offer a minimalist, low-key aesthetic for style-conscious homes. Blending easy to use controls with contemporary style, Alex towel rails provide the perfect finishing touch for modern bathrooms. This 400w version is able to heat areas up to 5m² and has a 14 rung design for convenient towel storage.